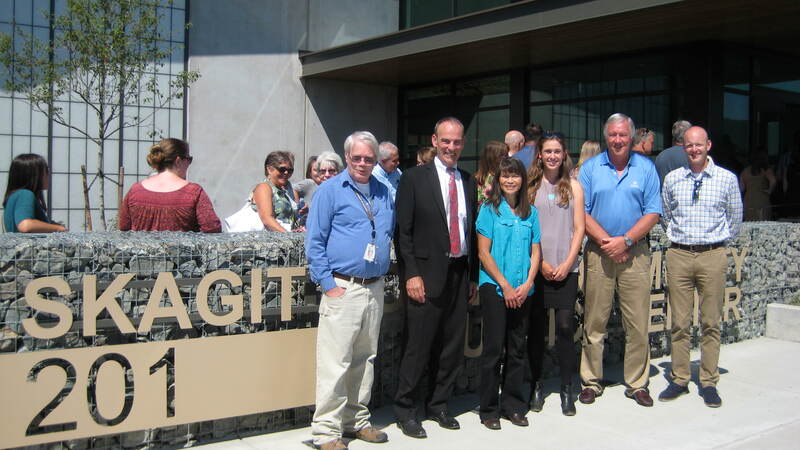 Maul Foster & Alongi, Inc. (MFA) wishes to congratulate Skagit County on the recent completion of its new community justice center, which was developed on a former truck stop fueling station brownfield. The need for a new jail facility to serve the County had been discussed for nearly two decades, but the discussion became a reality when county voters approved a sales tax in 2013 that financed the facility design and construction. Having a strong understanding of the value of productive lands within the county and proactively prioritizing protection of those lands through re-use of underutilized properties led to the County’s selection of a former truck stop in Mount Vernon for the new facility. The property met both the County’s size and accessibility criteria and had for a long-time been an underutilized property with infrastructure already serving it. However, potential liabilities associated with a history of environmental contamination would have been too great for the County alone to bear. In order to move the project forward, MFA facilitated the development of a prospective purchaser consent decree between Washington State Department of Ecology and the County to mitigate the environmental liability and significantly fund the environmental characterization and cleanup of the property. Following completion of cleanup activities, construction of the facility began in 2015 and culminated in a ribbon cutting ceremony on July 11, 2017. The state-of-the-art jail facility will now serve the Skagit County community for decades to come.